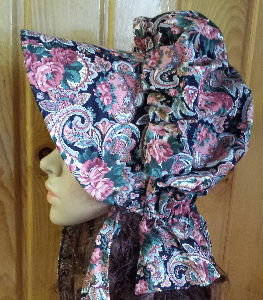 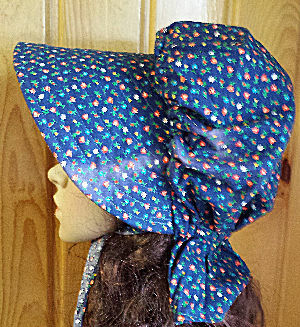 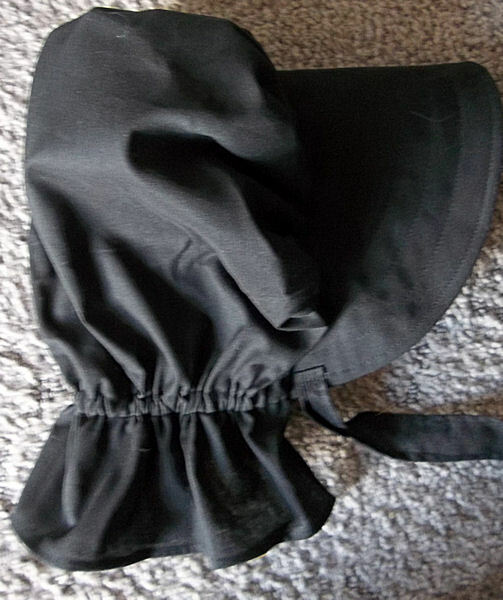 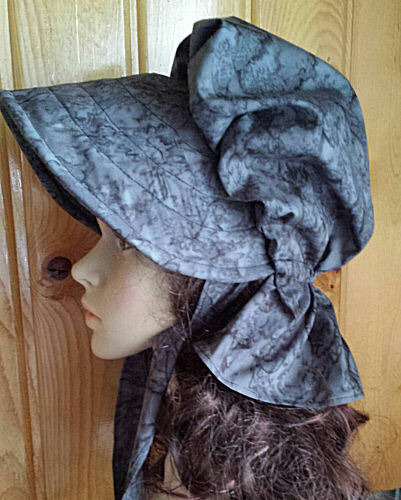 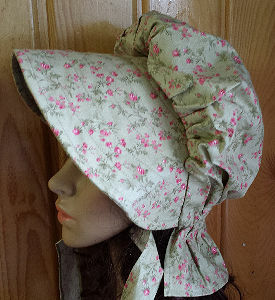 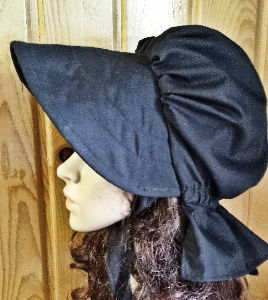 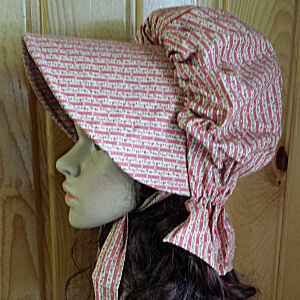 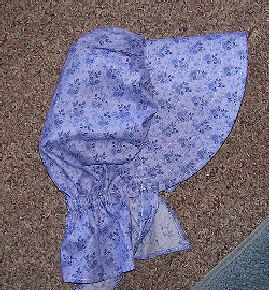 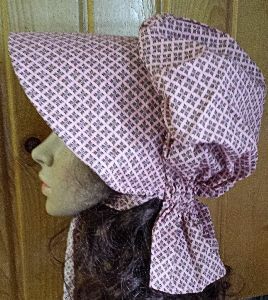 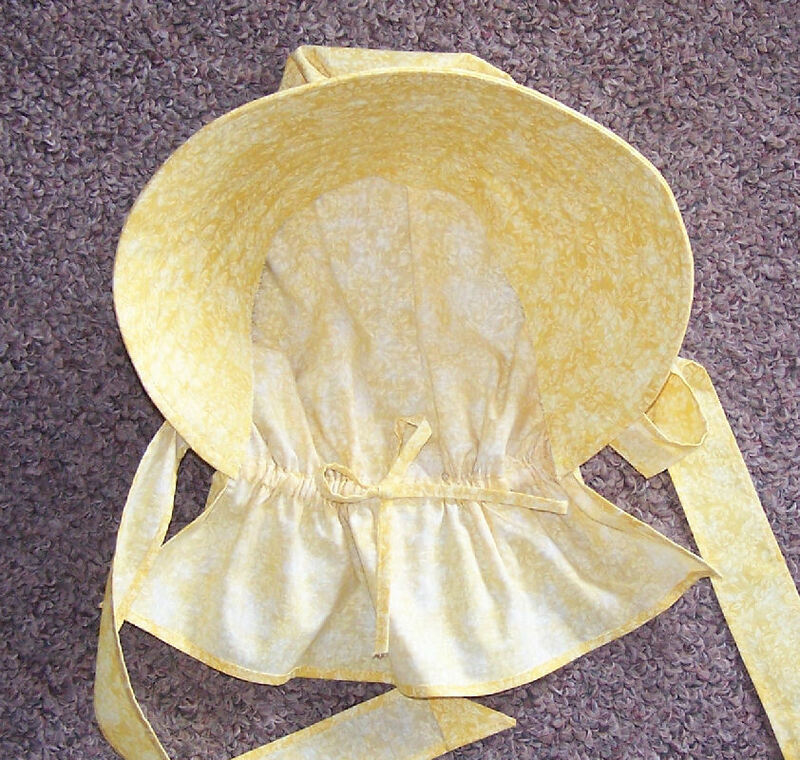 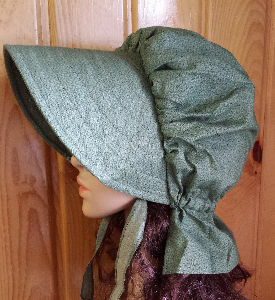 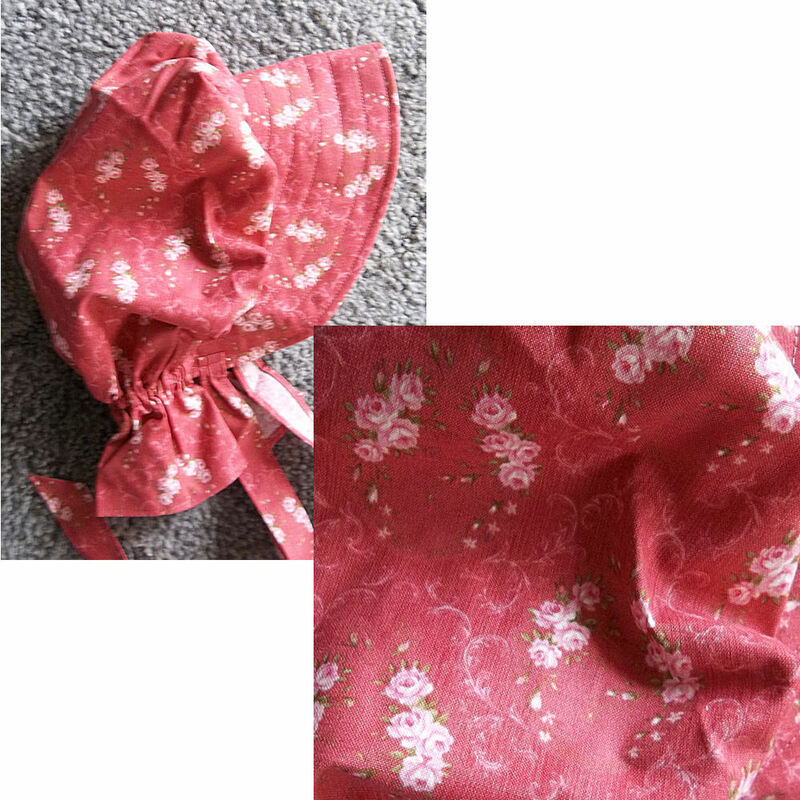 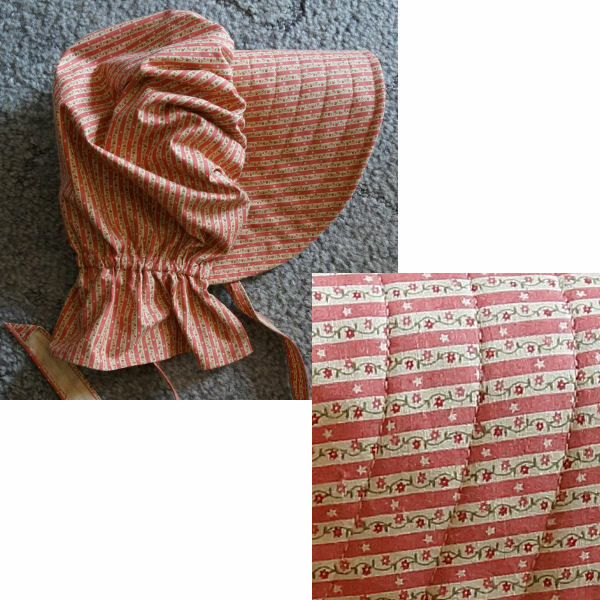 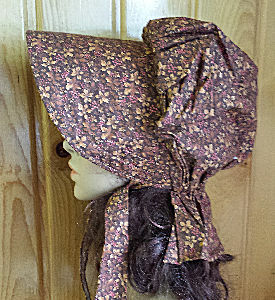 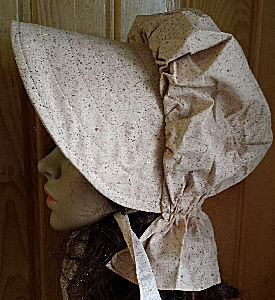 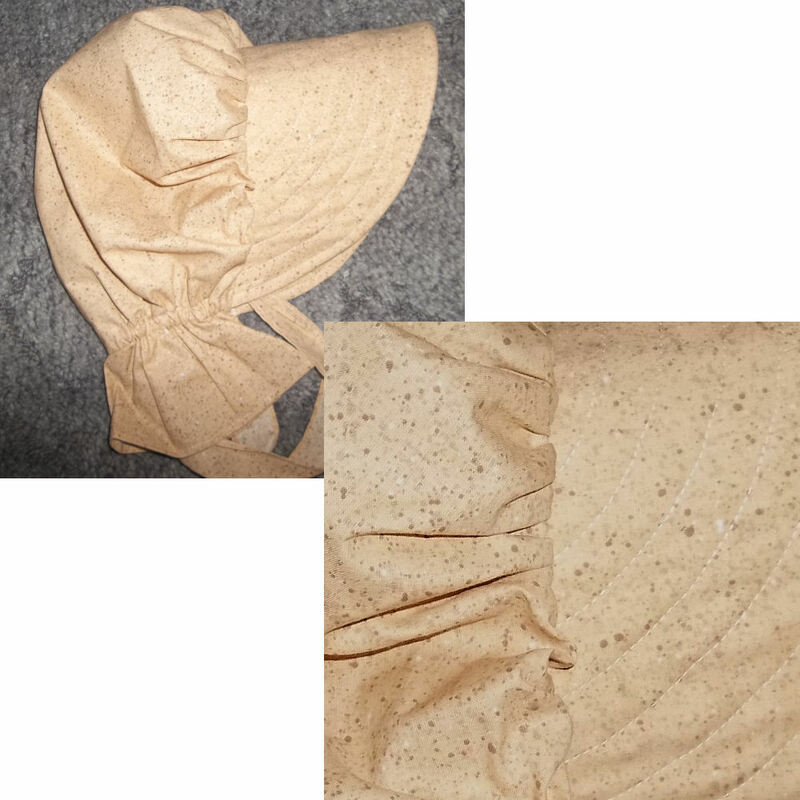 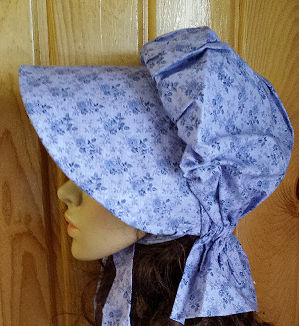 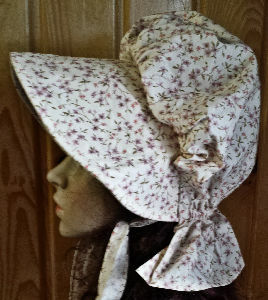 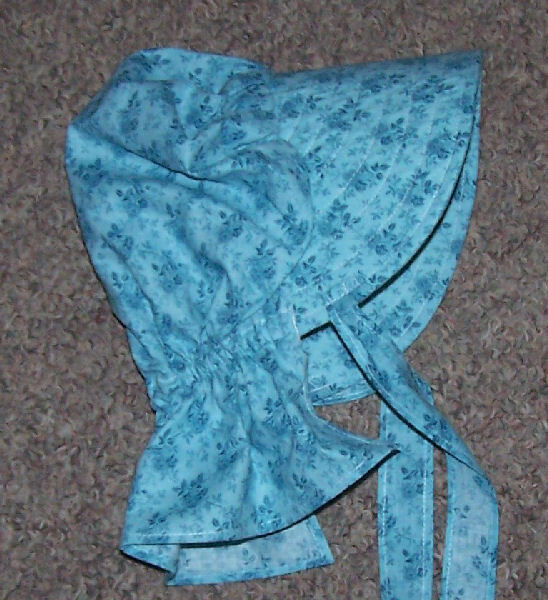 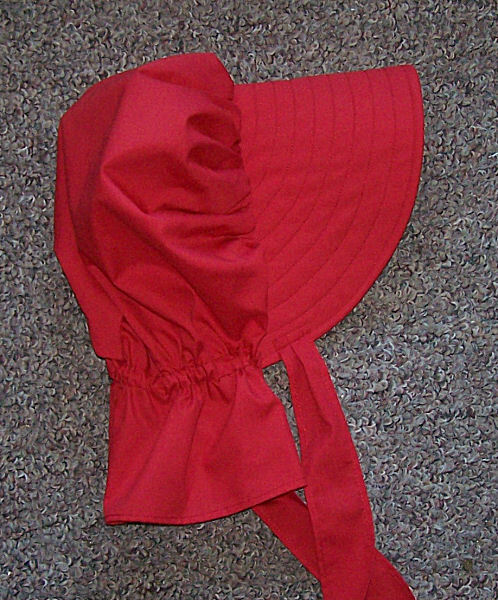 Period Correct Bonnets are made specifically for women who engage in historially accurate plays, western period history re-enactments and the like. 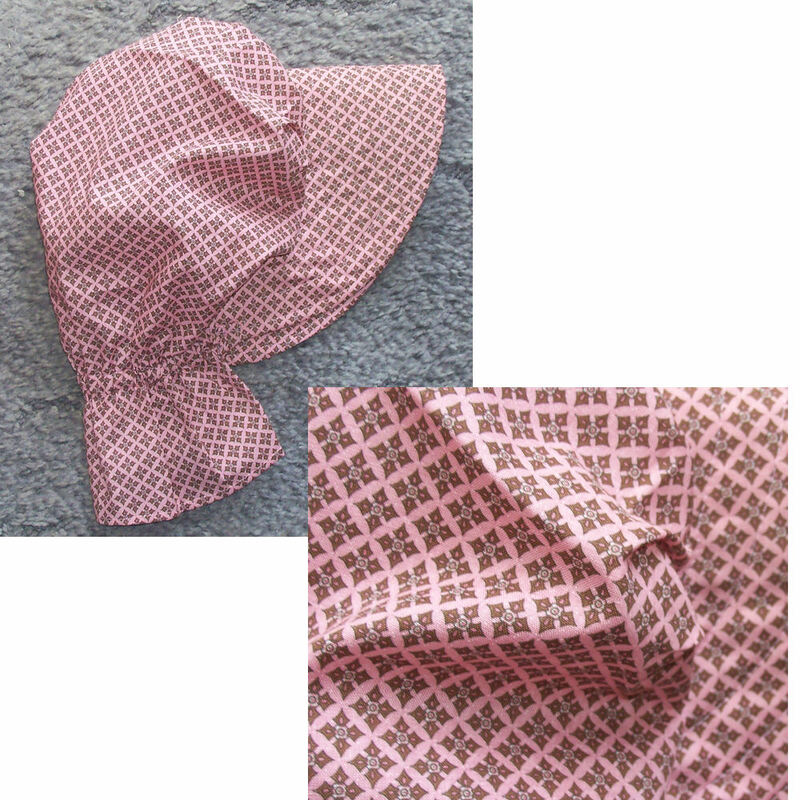 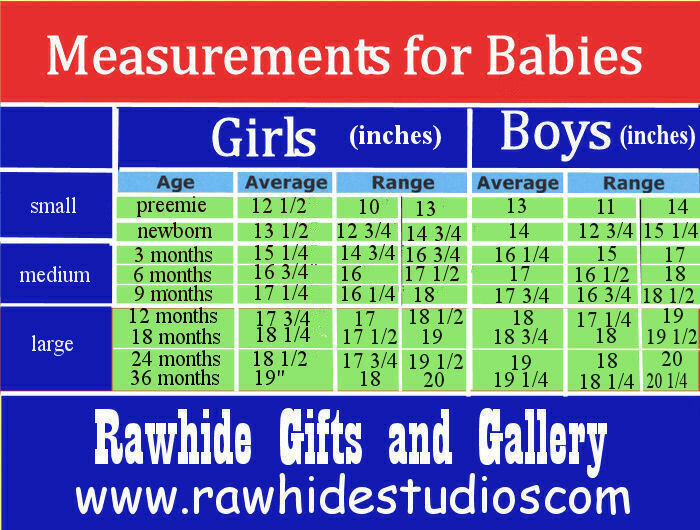 The materials used are not 100 percent cotton, but are instead made of cotton polyester blends or other similar fabric material combinations. 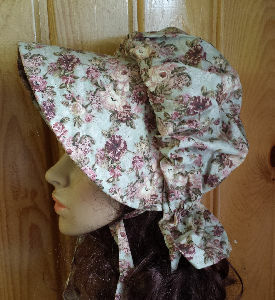 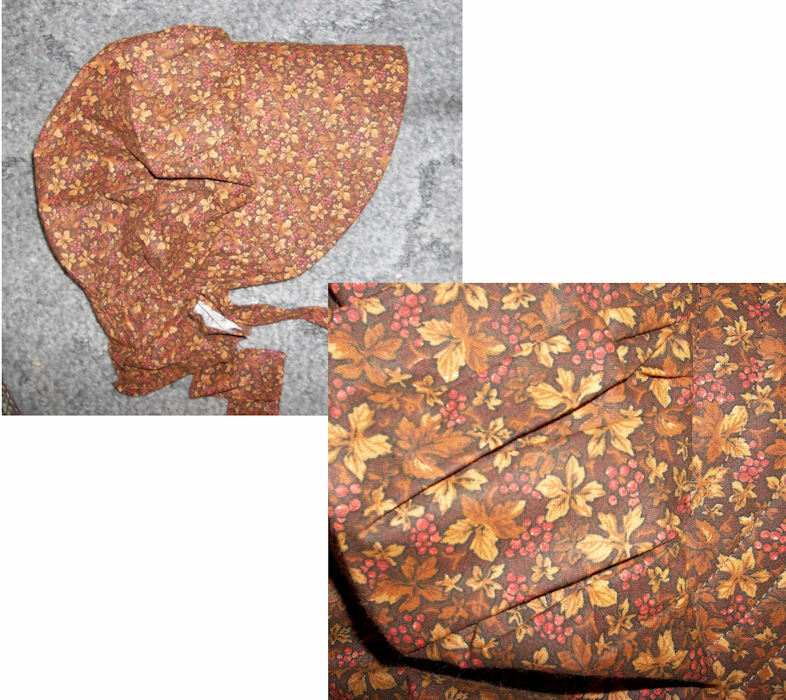 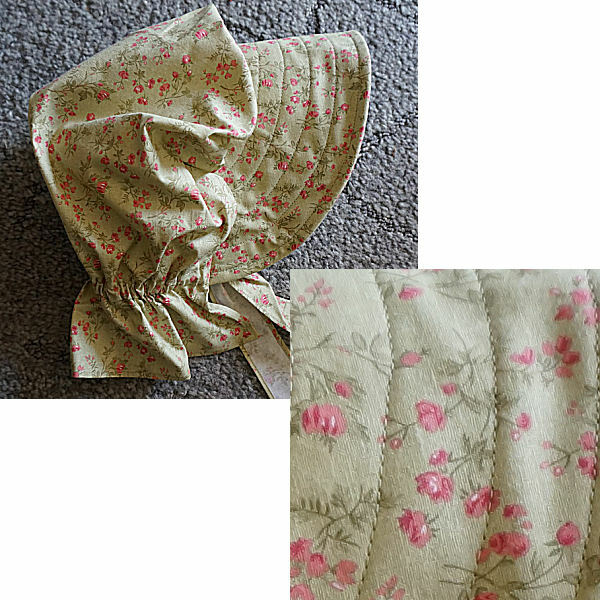 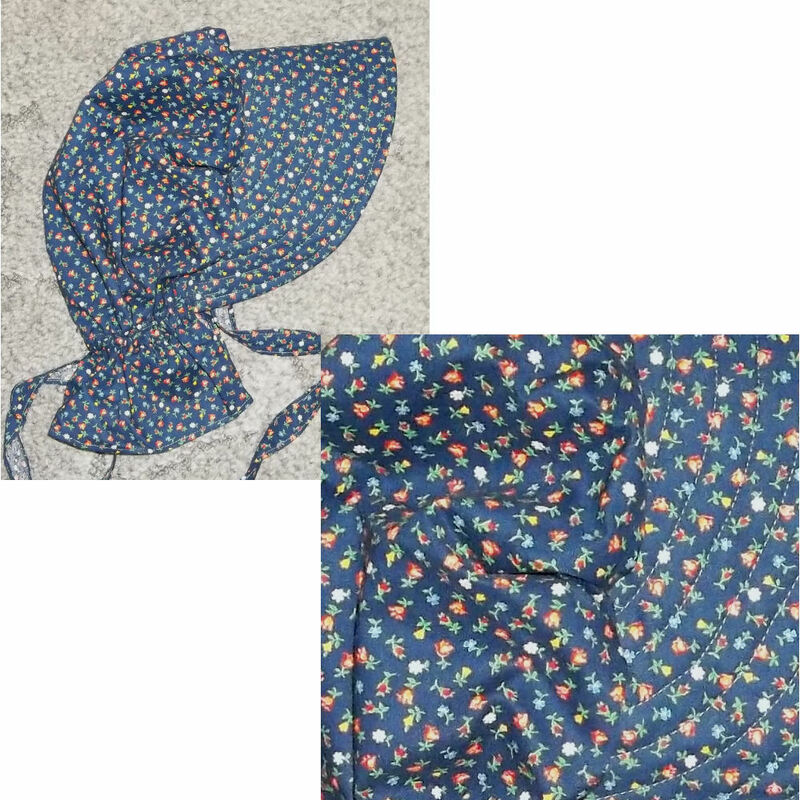 However, the colors and the print style of these materials are historically correct as we use muted colors and designs closely conected to fabrics and patterns available to women of the period of time when these bonnets were worn. 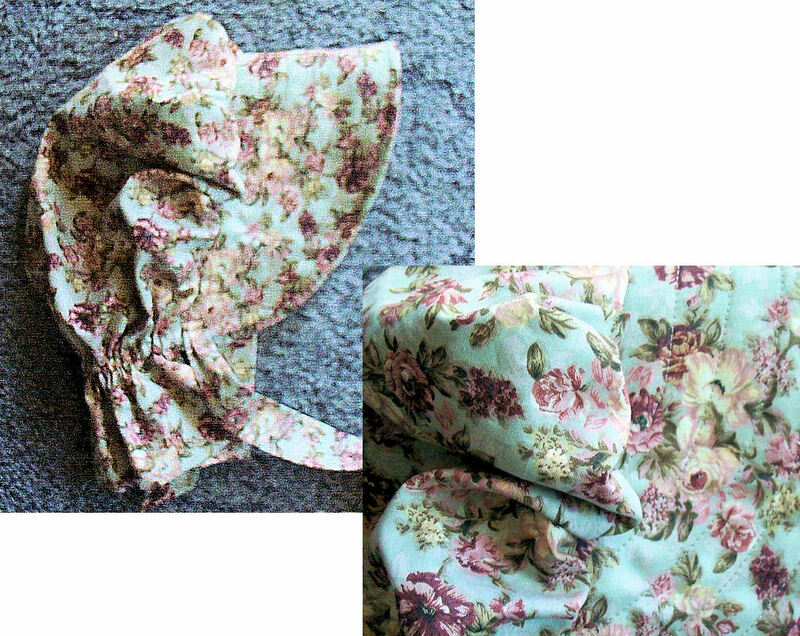 10 2 avble lovely pale green tiny coral roses! 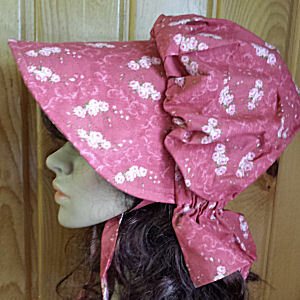 I ordered a bonnet from Madeleine and she contacted me saying she no longer had the one I selected. 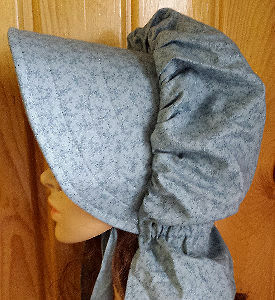 I told her I needed a period history one and she went to a fabric store, emailed me the choices and before I knew it I had a beautiful handmade bonnet. 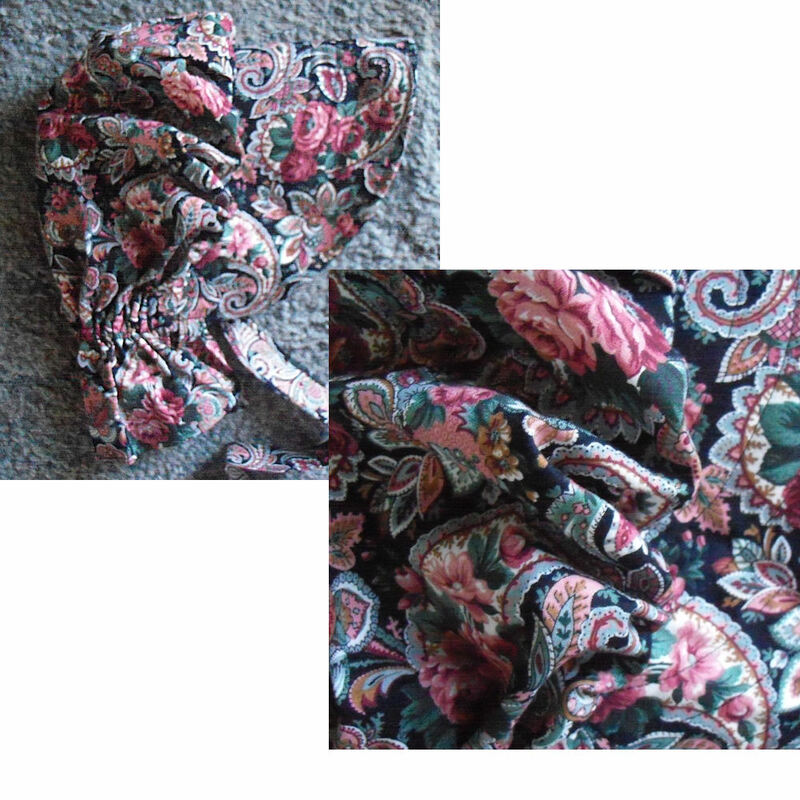 I am so happy with the design and exquisite craftmanship (not exaggerating here). 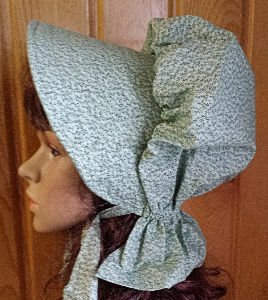 Angie, I’m so glad you love the bonnet. 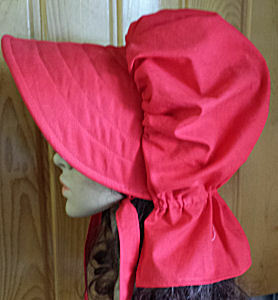 In fact, I think the material color choice on this one is even better and it sounds like it really IS a good choice from your comments. 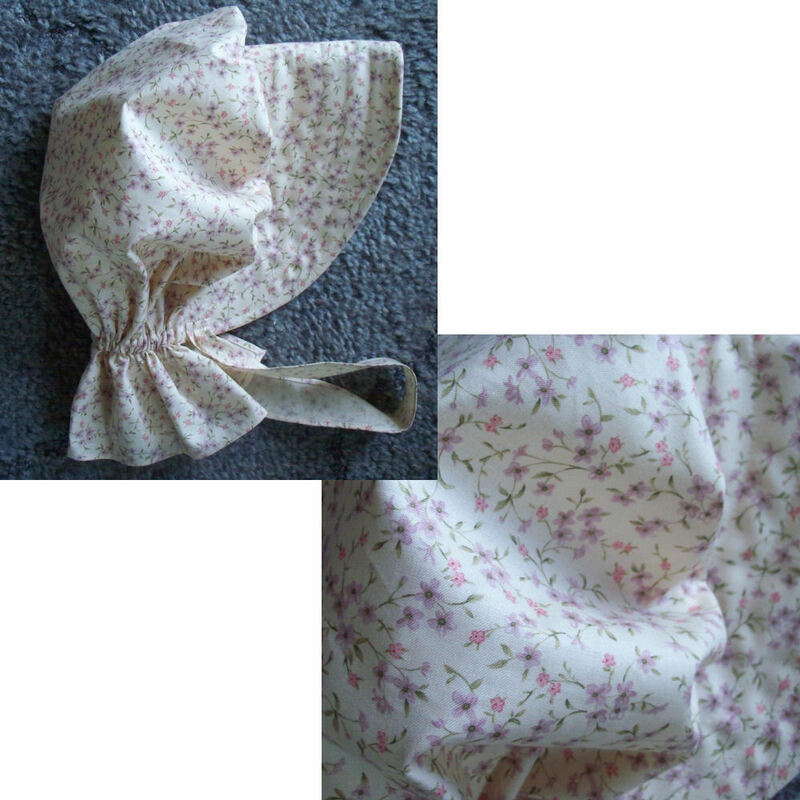 I hope you enjoy the bonnet for many, many years to come!